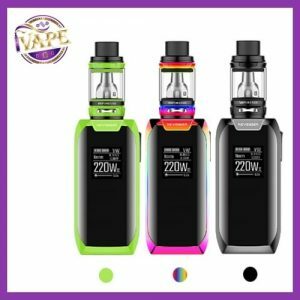 For all the pen lovers iVape welcome The Smok Stick V8 Kit. The pen style devices has proved to be very popular so Smok have taken that design and then raised the bar. 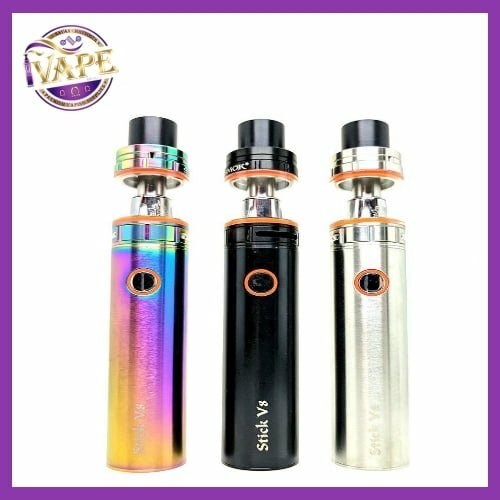 The Stick V8 Kit by Smok is a super user friendly sub ohm pen style device with micro USB charging, 3000mAH battery for longer life than most stick or pen kits. The v8 Kit has been teamed with the V8 Baby Beast. 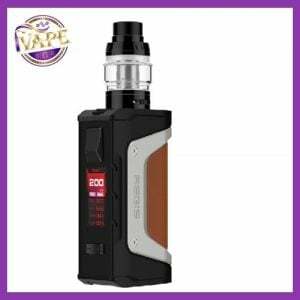 The battery of the Smok Stick V8 Kit is easily charged through the micro USB port as well as a LED battery life indicator located behind the power button. The Baby Beast tanks is in a smaller package but with the same beastly punch. The TFV8 Cloud Beast has great airflow, revolutionized coil system, tank filling, and tank capacity. 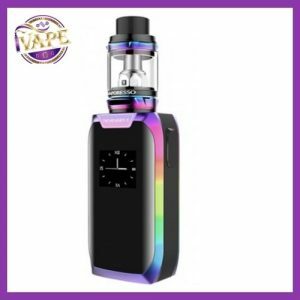 It has proved to be extremely popular over the pat few months keeping Smok TF Tank series a head of the game in terms of flavour, design and vapor. In order to use temperature control feature, it requires use of nickel, titanium, or stainless steel coils and must be built with non-resistant wire because issues can arise. This product is for advanced user only for instance you need to have a great understanding and technical knowledge on how to use this product in order to properly use it. As a result you must use it at your own risk! 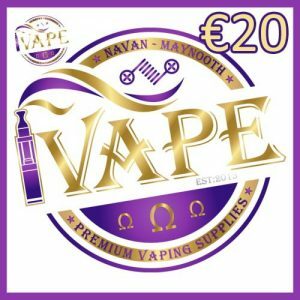 There is always an inherent risk when using any rechargeable batteries at anytime and under any circumstances as a result ivape.ie is not held responsible for any damage for any modification of the batteries, chargers, devices and other products that we carry in any form or shape. When working with Li-ion (Lithium-ion), LiPo (Lithium-ion Polymer) and any rechargeable cells, please be cautious and carefully use as they are very sensitive to charging characteristics and otherwise may explode or burn if mishandled. Please make sure that you have great knowledge on all rechargeable batteries before you use them. Always charge batteries at a clean and fire-proof surface, because this could cause fire, destruction to your home or being. Never leave charging batteries unattended. If you see that there are visible damages on the batteries, please do not use because they are highly explosive in this condition. Always keep, store and transport the rechargeable cells in a safe, non-conductive container in a controlled environment or damage can occur. Do not use any rechargeable battery as well as any battery charger if any visible damage is present, as well as if the cell or charger has been stressed through mishandling, accidental or otherwise, even if damage may not be visible. Always store and transport rechargeable cells in a safe, non-conductive container in a controlled environment. Please dispose battery cells, chargers or any other electronic devices in accordance of local laws and mandates. Always use an external charger to preserve the longevity and safety of your batteries, most suppliers don’t provide warranty for charging batteries inside your mod.